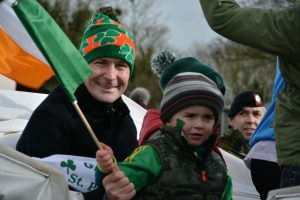 There was Standing room only in Rhode Hall Saturday Night Last as everyone came together to celebrate the hard work done by our under-age players and management through 2018 including the great achievements of our U,10 boys winning the Offaly Community games and Silver in Leinster and Our U13s crowned Leinster league/ Offaly Shield champions. There was plenty of Silverware on display on the night with the Dowling and Casey Cups Joining the U13 shields on Stage. Making the Presentation of Twelve’s Socks on the night was Joint Senior Manager Declan Gorman . Each Team was brought up by their age groups to rapturous applause by proud parents and club coaches and officials. The U10 Offaly Community Games Champions and Leinster finalists were last to be brought up and were giving special presentation of a framed photo. Minor Club Chairman Stephen Darby was Mc on the night and spoke wonderfully of the successes that the Minor club has had this year and on the wonderful work been done by the club and coaches at under-age level. He also thanked the parents in their assistance as without them none of it would be possible. Stephen went on to thank Declan Gorman for attending as Rhode Joint Senior Manager and congratulating him and The Seniors on Bringing home The Dowling Cup and Casey cups in 2018 . Before Finishing up thanked the Senior Club and Chairman Joe Malone for their support giving special mention to the wonderful work the Minor Secretary Tracey Murphy carries out each day while also thanking Club PRO Robert Kellaghan for his support to the minior club. Stephen wished everyone a safe journey home and a very Happy christmas and new year. On This coming Saturday December 1st Rhode Footballer Brian Darby will launch his book “The Rhode Way” in Doyles, Rhode from 8pm. GAA folkfore, explored through interviews and stories , the development of Rhode over centuries, his own personal experiences and more are all presented in a hugely enjoyable read. Michael OMuircheartaigh will be present and we look forward to welcoming him. An effort will be made to raise funds for the Childhood Cancer Foundation on the night, through a voluntary contribution raffle and the auction of 2018 football and Hurling All-Star Jerseys. All Support is of enormous benefit and is greatly appreciated. Rhode Junior Footballer’s qualified for the Division 4 league Final following a convincing win over Clodiagh Gaels 2-10 to 1-02. Rhode await the winner’s of Kilclonfert V Clodiagh Gaels which will have taken place in Fr.Dowling Park Rhode when this goes to print. Team: Phil O’Connell, Mossy Muldoon, Gareth McNamee, Declan Murphy, Carl Hannon, Keith Murphy, Mark Rigney , Aidan Brereton Dylan Kavanagh, James Murphy, Anthony Kilmurray, Dan O’Brien, Stephen O’Connell. 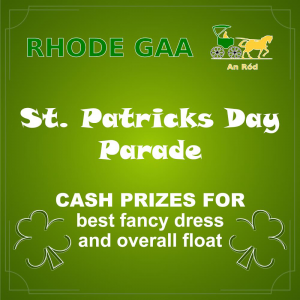 James Coffey, Shane Lowry, Subs used Dean Morris, Robert leavy, ,Donal Hickey, Lorcan Reilly, Frank Glennon, Kieron Hope. This Sunday December the 2nd at 6pm the Christmas Tree lights will be turned on in the village. The 130th AGM of Rhode GAA Club will take place Thursday the 13th of December in Rhode GAA Hall at 8pm Sharp. All Members and Intending Members are requested to attend. All Motions and Nominations must be submitted in writing (email if possible) and will be accepted up to and including Monday December 3rd 2018. All Cards to be back in to Shaz Hair Salon at 5pm on Friday December 21st. Draw cannot take place till ticket’s are in. Please come along enjoy the live music and join in in the festive mood. 2019 Membership can be paid to the following membership officers listed, Patricia McManus, Orla Kilmurray, Ger Noonan, Ger Hynes, Pat FitzGerald, Joe Malone, Oliver Murphy, Jody Kilmurray, James Murphy , John Glennon ,Tracey Murphy , Robert Kellaghan and Mary Hannon up to the 31st of March 2018. 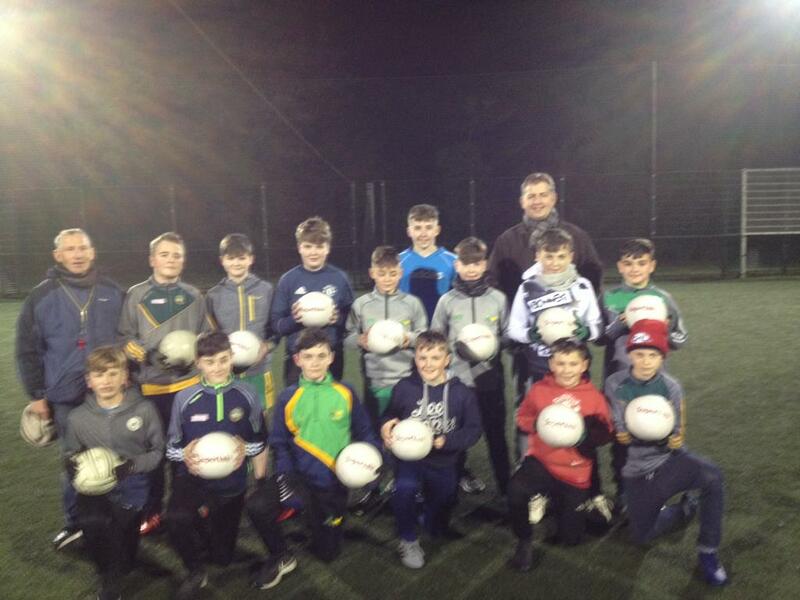 On Friday Night last Former Rhode Footballer Fergal Dunne Manager of Dunne’s Super-Valu Ballinasloe made a presentation of footballs to be used by our under-age teams to Minor Club Chairman Stephen Darby and members of our under-age. A massive thank you to Fergal for his wonderful support. 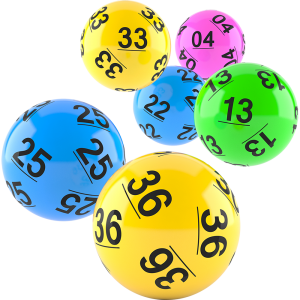 There was no winner of the Rhode GAA Lotto Draw that took place on the 19th of November for a Jackpot of €3,600. The numbers drawn were 11 14 16 27. The club would like to thank all those who supported the draw and thanks to Killeen’s for the use of their premises and for their help and cooperation. The following matched three numbers and received €50 each. Get well wishes are extended to all of the people of the parish who are ill or hospitalised at the moment especially Rhode Footballer Pauric Sullivan who underwent an operation on Monday Morning . We wish you all the very best with recovery and look forward to seeing you back in the green and gold. Welcome home from hospital to Vera Murphy . Special best wishes are sent to our Club President Paddy McCormack and Former Club Secretary Stephen Hyland and John Beezy Glennon We wish you all the very best with your recovery.